Oak Pattern 10 One Panel FD30 Fire Door. Sleek modern range. Oak Pattern 10 One Panel FD30 Fire Door. Sleek modern style with open, clean lines. One large vertical panel, solid raised borders. Vision panel variants include a full length Glazed version and an Un-glazed version for your own panel design. 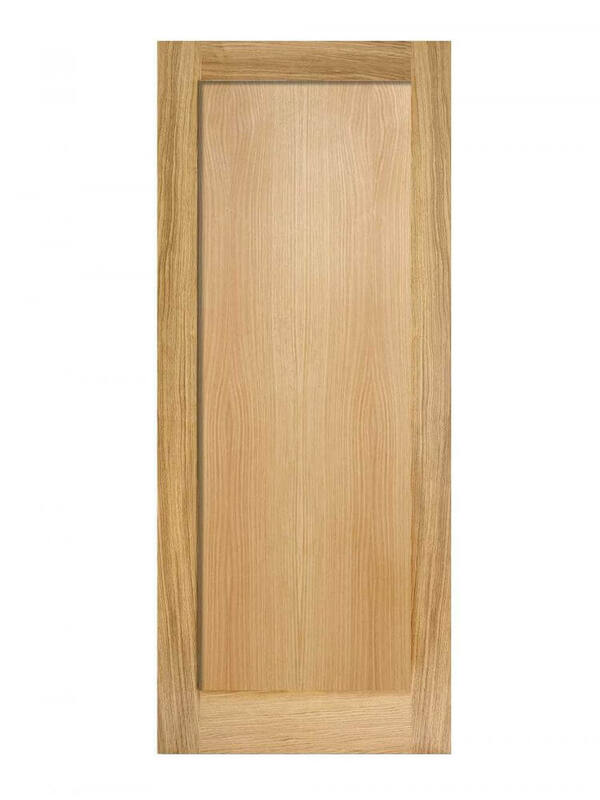 Oak Pattern 10 One Panel FD30 Fire Door. A recessed panel features a contrasting wood grain direction in unfinished Oak for an attractive and understated appearance.